Are you after a Reliable Plumber in Loughborough that will do the job on time, offering a 24-hour call out service and no hidden charges? Then HKS Heating and Plumbing are the plumbers in Loughborough for you! 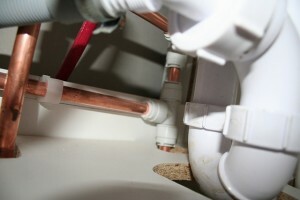 We pride ourselves on being Reliable Plumbers in Loughborough. We take a friendly and honest approach with our customers. At HKS we offer all our customers a FREE, no obligation quotation and refuse to be beaten on price for any genuine, like for like quotes – we want to help save you money and time – ensuring that the job is done correctly by using high quality materials. At HKS our team have a wealth of experience and a wide range of knowledge covering all your plumbing and heating requirements. As Reliable Plumbers in Loughborough we are fully insured with public and employer liability insurance and public indemnity insurance. For a Reliable Plumber in Loughborough contact HKS Heating and Plumbing today on 01509 558 713 or use our online contact form. We are happy to carry out any job, however big or small! Avoid the hefty charges today and get in touch. This entry was posted in Plumbing on 20th January 2015 by Anand Parmar. Simply fill out your details to see how affordable we are! Why not sign up for all the latest news and offers? For all the latest advice and tips!